We’ve developed a turnkey system to address all six areas, which in turn has allowed for consistent growth of specialty care within our offices. The same systems have also grown our eyeglass selections, contact lens fits and therapeutic practice. All systems and training manuals, doctor and staff, are provided for. You will document YOUR reasons to invigorate your practice(s). You will divide your practice into “pillars” and prioritize them. You will learn how to track each profit center. 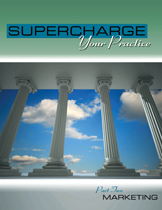 You will document what fees YOU’LL charge and know WHY! You will establish goals for your specialty care practice(s). You will document a plan of action for each goal. 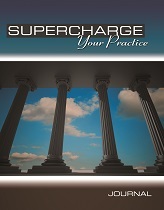 You will learn how to acquire specialty care patients. You will document a target group of patients to market to. You will acquire a proven presentation system to customize. You will develop a step-by-step system to move patients from exam to consultation. You will acquire printed marketing material to move patients from inquiry to action. 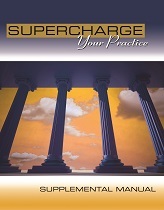 You will learn how to “wow” your patients into referring. You will learn a proven system to enroll patients into your program. You will acquire a system of demonstrations to help educate your patients. You will establish scheduling time-slots to optimize efficiency. You will learn examination protocol for specialty care patients. You will develop a blueprint for successful evaluations and consultations. You will have a script for proper and effective fee presentation. You will learn how to address insurance and other FAQs. You will learn effective follow-up skills to assure commitment after the consultation. You will learn how to develop a patient base who appreciates your care and who YOU enjoy examining. 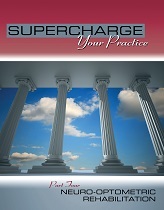 You will learn how to develop a system-based practice, not personnel-dependent. You will learn effective office policies and their role in your success. You will learn how to properly train your staff. You will learn how to systematically review staff. You will learn how to hire staff YOU enjoy working with. You will learn how to develop job descriptions for your staff’s responsibilities. You will acquire job descriptions for commonly held optometric duties. You will learn why the solution is always in the systems, not you or your staff! You will acquire a pragmatic training program for staff and doctors.